Think you and your gear have what it takes to win? 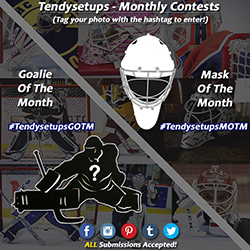 Enter our monthly "Goalie Of The Month" and "Mask Of The Month"
Instagram account for all to see. Good luck, goalies!